For the tiny dancer in the house. Now she can be just like mommy in her own smaller version of our #1 seller. Available in sizes 4-6, 6-7, 8-10, 10-12, 14-16 in most of our fashion colors. See one in action in the gallery! Same as above, with short sleeves. The long sleeve version of our petite mesh midriff unitard. 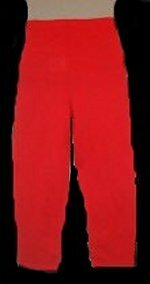 Shown in red with red mesh. No mesh here, just cool, comfortable cotton lycra. Available in most of our fashion colors. Just like our popular kids leotard, but with our special mesh midriff cut out. The classic tank leotard. An absolute favorite. Short sleeved version of our popular leotard. 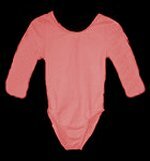 Made of 100% breathable cotton lycra, a favorite among gymnasts and dancers. Kids love our cool, comfortable leggings! Pair them with a t-shirt for a great casual outfit. Playtime or dancetime, these bike shorts go everywhere in cool, comfortable style!